David Culver is an artist who currently makes his home and studio near the river bluffs of the Mississippi River (Lake Pepin) in Bay City, Wisconsin. His body of work include, sculpture, painting, mosaics, stone and mixed-medium, although over the years his emphasis has been stone sculpture. A graduate of the Minneapolis College of Art and Design, Minneapolis, MN, David's work has been seen across cities in the United States, from New York to Chicago, Las Vegas, Minneapolis, St. Paul, Seattle, Dallas and internationally at the Seoul Museum of Art, in Seoul Korea. Please feel free to contact David here to purchase art or commission a work. 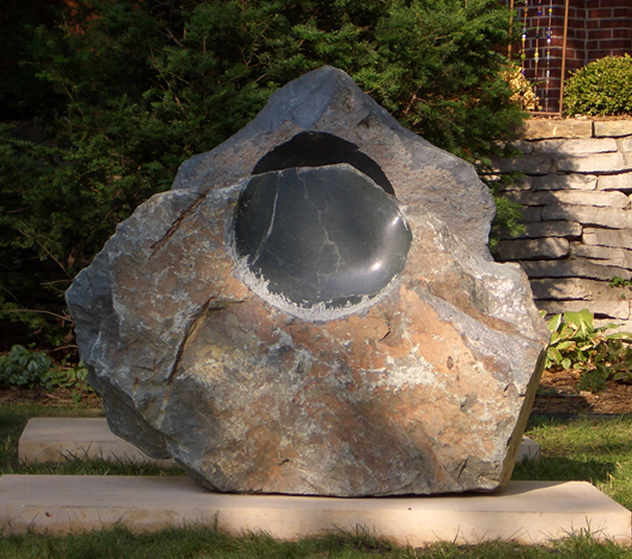 MSR Architects Gallery, Minneapolis, MN,"Art and Architecture"
Karon residence, Minneapolis, MN, "Eclipse"
Ceridian Corp., Bloomington, MN, wood and stone sculpture, "Spear"
Caponi Sculpture Park, Eagan, MN, granite sculpture "The Rain King"
Copyright@2018 David Culver / Culver Studio All Rights Reserved.